The drama drought has gone on for too long this year to the point that finishing an episode is hard, what more an entire drama. Recent selections have shown much promise, and I'm happy to add two new premieres to the list. Because really, I just went from having nothing to watch to binge watching episodes in a week. I have been met with too many disappointments to have any expectations coming into a drama. Eight episodes down the line and I have to say, Moonshine and Valentine has overturned all my existing biases. It is not just good, it is great! I only had a vague insight of Huang Jingyu before this, and I'm beginning to understand why he's popular. He is easily the scene stealer as he brings an enigmatic charisma that is essential for a supernatural character like his. By episode 1, I was fully invested in the story of the fox tribe and how they have managed to live alongside humans for years. Victoria Song playing your typical heroine that's too painstakingly nice seems less interesting in comparison. It's a character that usually gets on my nerves, but I actually like her too, which I think is a testament to a well-executed production that is a rarity nowadays. Watching the first two episodes gives you two different dramas. The first is a serious historical drama, that's bold and dramatic in its storytelling, save for the scenes with Tang Yan that remind you that this is science fiction and probably shouldn't be taken that seriously. I'm not sure who to talk about first. 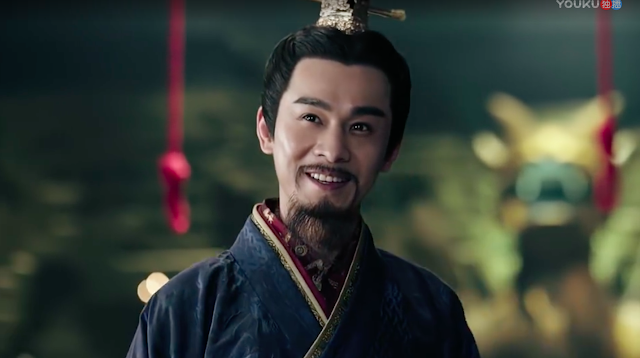 Oho Ou is captivating as the lead, but it's Qiao Zhenyu's crazed portrayal of Qin Shi Huang that really caught my attention. If you've seen The King's Woman, this is the same King, the non-romanticized version. 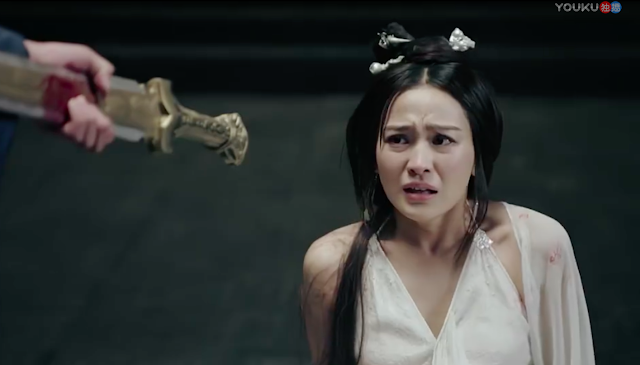 Leading lady Karina Hai Ling impresses as the damsel in distress that is strong and unyielding. Can you believe she's the palace maid in Go Princess Go? If the story continued the tone from the first episode, then I would be watching this for sure but the second episode does a complete one eighty. Suddenly, it's turned into a comedy. Oddly enough, I'd be down for that too. Moonshine and Valentine is a grest drama. I am glad I actually clicked it and watched. I was going to write if off as I did not like Victoria Songs acting. You are absolutely right in that the Main Lead guy is a scene stealer. He is definitely a rising actor and I look forward to seeing him. Love his portrayal of the lovelorn wolf. The young actors are great too! They are the one who sold me on their romance. Can't wait to see more of the younger actors too. The two sidekicks are so funny and very good looking! Thank you for recommending. I tried Moonshine and it was great so far! Our beloved c-drama cliches presented in a refreshing way, the pace of the storytelling is breathtakingly quick: the future powerlines got lined up just in the first epi! Can't wait for more, well done, really! I've seen Moonshine episodes 1-4 already, and i must say that I'm completely intrigued by Huang Jingyu's character. I wonder if he'd end up with Victoria Song. Can't wait for episode 5! Victoria's character in the book is an ordinary girl that has nothing stand out. But she has definitely improve a lot. But I heard his acting in Operation Red Sea is pretty much the same here. Not sure if it's true. Has anyone watched it? But for sure this drama is getting good reviews both in China and internationally. Both Johnny and Victoria will likely be benefit from it despite unnecessary fanwar earlier. I enjoyed both the Hero’s Dream and Moonshine and Valentine aka Love knot. Somehow they both have the same theme of aliens living on earth, with one in a historical and the other in a contemporary setting. Hero’s Dream is oddly bizarre but very engaging. While they have the time travel theme like other series, I like the fact that they didn’t immediately had the female lead exposed some of her body parts like other series. She actually dressed to fit in and she knows history. I laughed so hard when they shawshanked the prison by using the movie as reference.